The credit crunch has meant that eating out is beginning to become a costly affair for most families and so they prefer to stay at home. However, rather than cooking a meal, most are beginning to order take-outs. 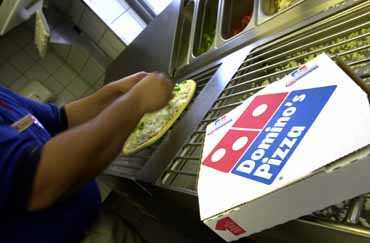 Domino’s Pizza’s chief executive Chris Moore said that it was benefiting from this trend as the sales for the last 13 weeks had increased by 17.8%. Supermarkets are doing their bit to attract customers by offering huge discounts and BOGOF offers on ready meals which only has to be re-heated before eating. However, Moore believes that this would not affect Domino’s sales since people do not want to go through the hassle of having to buy the product and re-heat it when ordering in takes roughly a half-hour only. Seems like many still prefer convenience than saving money.